Feel like being transported to Paris in the summer of 1820? Louis XVIII was the King of France, Napoleon Bonaparte was in exile on St. Helena, and a plot to overthrow the Bourbon monarchy (in which Napoleon in America character Charles Fabvier was implicated) had just been uncovered. Here is a letter written by a visitor to Paris on August 25, 1820. But to the fête of St. Louis. 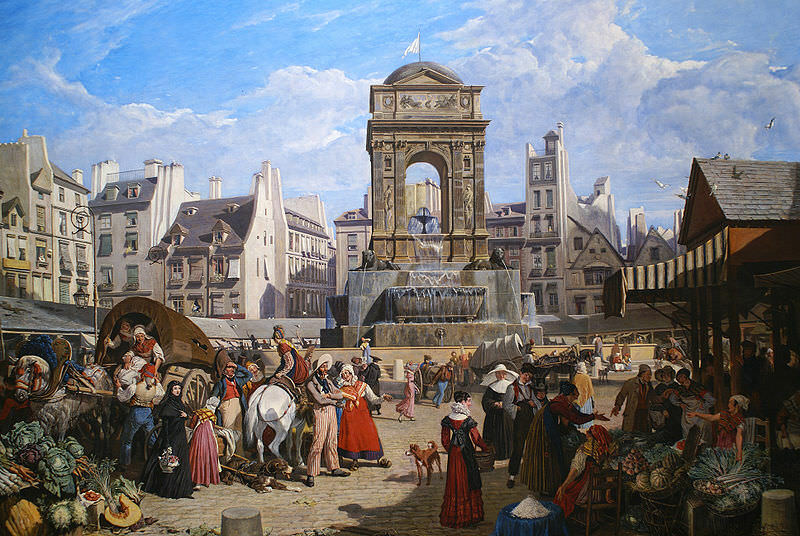 Along the Champs Élysées…are erected spacious wooden booths for the distribution of provisions to the good people of Paris. Imagine the road from the Phoenix Park-gate thronged with thousands of pedestrians, looking right and left to the stage where the play is exhibited, and alone forgot when the hundreds of fowls and loaves are flung from the booths I have mentioned, while hog-heads of wine flow even more freely than in the most prosperous times has run the malt of the successful M.P. in gratitude to his electors. Fire works are also prepared along this road to heighten the effect of this combination of a hundred fonts of Camacho [a wealthy character in Don Quixote]; and the song and the dance give a spirit and gaiety to the entire, which is most enlivening. 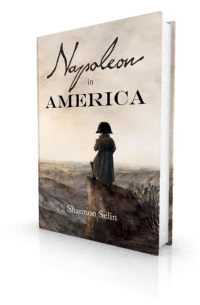 Napoleon died the following spring, on May 5, 1821. Louis XVIII died on September 16, 1824. He was succeeded by his brother, the Count of Artois, who became Charles X of France. “Letters from Paris, and Other Parts of France, in the Summer of 1820, to a Friend in Dublin,” The Morning Post (London, England), September 28, 1820. Everywhere, however, you see the Gendarmerie on the watch, wearing the eye not fearful, nor secure: active and silent, nothing escapes their glance.